Miss Susie II & III depart from Harbor Island Marina in Solomons, MD (105 Charles Street Solomons, MD 20688) mid April thru Mid May & mid October thru late November. They depart from Happy Harbor Marina in Deale, MD (533 Deale Road Deale, MD 20751) mid May thru Mid June & mid August thru mid October. They depart from The Point Crab House & Grill in Arnold, MD (700 Mill Creek Rd, Arnold, MD 21012) mid June thru Late August. 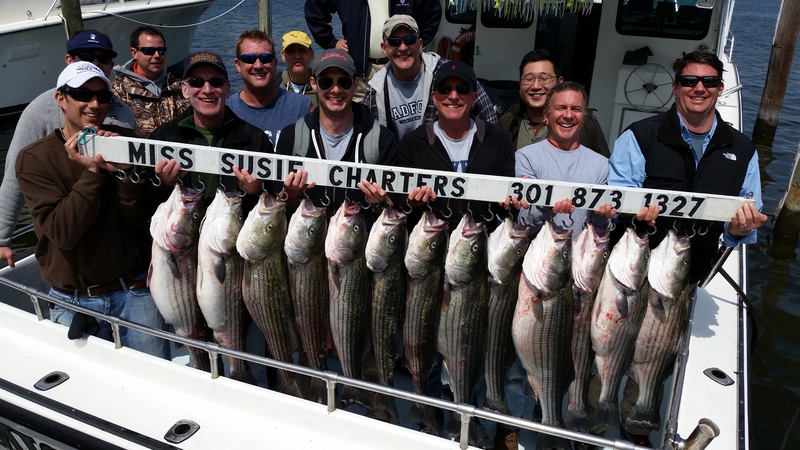 For the late fall fishing later November & December, Miss Susie II & III depart from Point Lookout Marina in Ridge, MD (16244 Millers Wharf Road Ridge, MD 20680). (directions are located in the Directions link on this site). Confirm with Capt. Greg which departure port will be used. The boat will be where the fish are, make sure you arrive where the boat is! 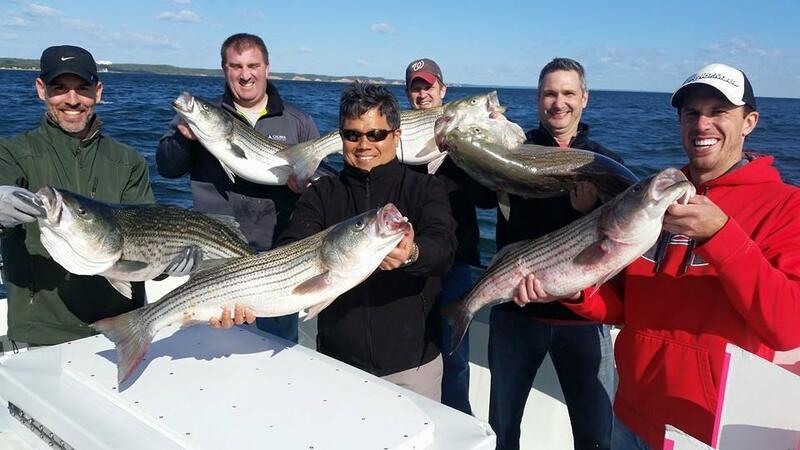 For April and May PM Trophy Rockfish trips we will leave the dock at 12 or 1 PM. 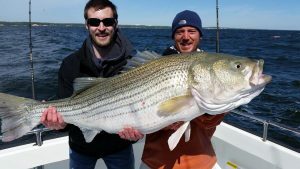 For afternoon rockfish and bottom fishing trips in late June, July, August we like to leave the dock at 11am or 12noon depending. We provide rods/reels, bait, tackle, and ice and fish box for your catch. No fishing licenses required. You are more than welcome to bring your own lucky rod and reel. A $200 deposit per trip is required upon booking a charter, we use the SQUARE app to quickly & easily take over the phone Credit Card deposits and instantly send receipts. Deposits are non-refundable unless at least 30 days of notice are given before the booked date, or if the trip is cancelled by the Captain due to inclement weather. There is no Credit Card processing fee charged for deposits given using a CC, However all balances paid the day of the charter with a credit card will incur a 3% processing fee, SO PLEASE BRING CASH or CHECK. Be sure to collect $$$ from all your crew so you don’t get stuck paying the entire bill or calling everybody you know the night before trying to find replacements for your buddies who backed out at the last minute. Prime dates go fast, call as early as possible to ensure you can get a booking when you want to go and when the fishing is red hot. The first mate works for tips and the gratuity of about 20% is customary and expected. Mates work very hard before, during, and after charter trips to ensure you have a successful and fun-filled day on the Bay. In most cases a 20% tip for the first mate will cover fish cleaning, however if your crew has a big haul and comes to shore with a load of bottom fish or a load of Bluefish and Mackerel it is normal and expected for the crew to throw in some additional funds for the mates hard and very carefully done work. If you have a need for additional boats to take a large group out fishing, there are several other boats and Captains available that can fill the order. For multiple boat charters please try and give plenty of advance notice since it is often difficult to find several boats that have a common open date.